10 How Can I Tell You? 109 How Can I Tell? 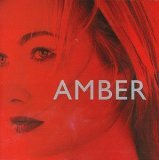 Marie-Claire "Amber" Cremers (born May 9, 1970, Ubbergen, Gelderland, Netherlands) is a Dutch-German singer, songwriter, label owner and executive producer. She is best known for her hits "This Is Your Night," "If You Could Read My Mind," and "Sexual (Li Da Di)." Amber's music career took off when one of her demos, "This Is Your Night" gained interest from Tommy Boy Records. Soon after its release as a single, it became one of the most successful songs of 1996 and 1997. A full length album soon followed. It included two more hit singles, "Colour Of Love" and "One More Night."